DJ Fatboy Slim will perform in front of around 20,000 revellers on Saturday night in his home city at a seafront event dubbed Big Beach Boutique 4. 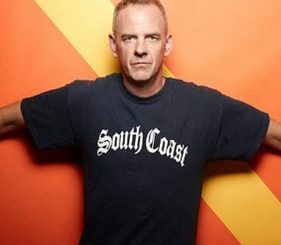 The DJ, real name Norman Cook, will play to a sell-out crowd in Brighton, East Sussex, after support acts including Beardyman, Danny Tanaglia and Layo and Bushwacka. The last time the star staged a similar event was on a rain-soaked New Year’s Day on Brighton beach in 2007 in front of celebrities including wife Zoe Ball. The DJ’s inaugural gig on the city’s beach in July 2002 provoked safety fears when public transport was overwhelmed and emergency services had to weave through crowded streets because the party attracted 250,000 people instead of the anticipated 60,000. For this year’s gig on Madeira Drive, tickets have mainly been limited to people in the Brighton area and a search policy will be implemented to prevent glass, alcohol and drugs being taken. The concert will mark a finale of a packed summer of events for Cook who has performed at major music shows across Europe almost every weekend since March, including in Ibiza, Loch Ness and Hyde Park in London. Speaking ahead of the Brighton gig, Cook said: "This is my last date of the whole summer season and that’s good news for two reasons: a, I’ll be very excited and celebrating, and, b, the show is pretty tight now. I think people are going to really enjoy it." He added: "The one thing I can guarantee is that it will be better than New Year’s Day, it couldn’t really be worse." A team of litterpickers paid for by the promoters are expected to clear the site by noon on Monday, a spokesman for Brighton and Hove City Council said. People without tickets are being urged not to turn up for the event, amid forecasts of clear skies and sunshine. 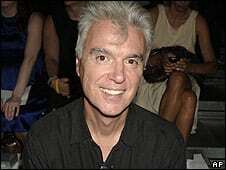 © Copyright Press Association Ltd 2008, All Rights Reserved.